Bayley Maxcy is one of the most dedicated scooter riders I think I have ever seen. 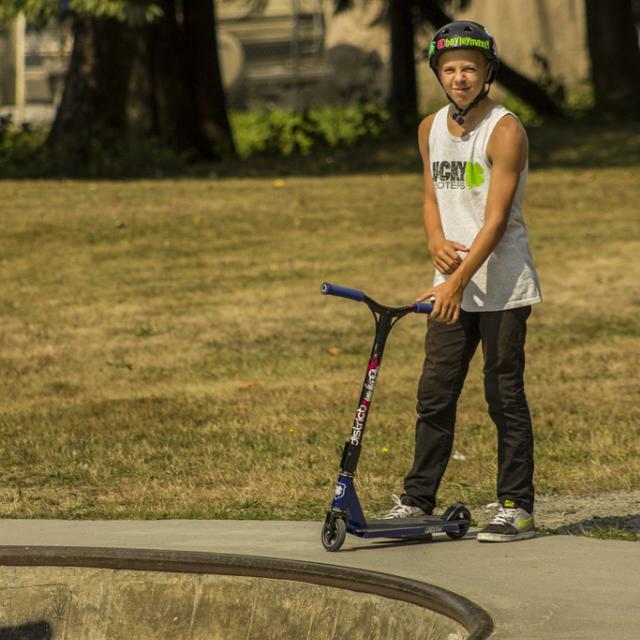 He is constantly riding, progressing and representing his sponsors, which makes Lucky Scooters happy to have him. He lives for scootering, which is more then likely what has made him so successful in the sport and also why I have decided to interview him on here. So here it is, the Bayley Maxcy interview! Check it out! Blake Bailor: What's up Bayley? Can we get a little intro into who the bunny rabbit really is? Bayley Maxcy: Haha, yea. I'm Bayley Maxcy aka the "Bunny Rabbit" (nickname given to me by non other then the Blake Bailor aka you hahaha). I'm 16 years old and I live in Carnation, WA but I'm always at Sammamish skate park so I just tell everyone I live in Sammamish haha. Blake: Word. How long have you been riding scooters? Bayley: I have been riding scooters for about 5 years now or 4 I cant really remember haha. I think 5. .
Blake: How long have you been with Lucky Scooters? Bayley: I have been with Lucky for 1 year now and I love them. Everyone over at Lucky is so cool and nice. I really respect all the workers and riders on Lucky. Blake: Yeah, Lucky is rad! You seem pretty focused on the competition side of riding, what do you enjoy more filming videos or competing? Bayley: I wouldn't say I'm focused on the competition side. Honestly, the only reason I like going to competitions is to see and ride with all the homies, that's why Woodward is the best. No competing, just a great time with friends. As far as filming goes, I don't film a ton. I don't really have a filmer saying lets go film so I rarely drop edits. Blake: I feel you on that! Your most recent video was nuts! What was the most challenging part of filming for that video? Bayley: The most challenging part of filming that video was finding someone who could film haha. In the end T-brads came through with some filming as well as James Gee. Blake: We obviously have some of the same filmers! Anything new coming out soon? Bayley: As far as edit wise, no. I hope to travel over seas to ride my scooter. Blake: What can we expect from you in 2014? Bayley: Expect me to be at every major comp, always posting on Instagram and staying as involved as ever in the scooter industry. Blake: Sounds good dude! Thanks for the interview! Any last words? Bayley: Thanks Blake for doing this Interview with me. Thanks Lucky for sponsoring me 1 year ago. Thanks to The shop chino hills aka proscooterlab.com for being the best shop sponsor a kid could ask for. Oh, and follow me on Instagram @bayleymaxcy plzzzz. 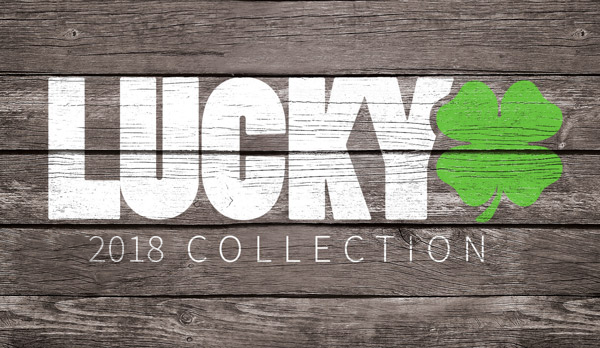 If you haven't already, be sure to check out Lucky's hardware!